Initiate deep cleanse, press my pump two or three times to make a nice puddle in your palm before rubbing me in like a liquid eraser to your face and neck. Rapid circular motions will have you fresh and clean in no time. When you feel my work here is done, simply rinse me off with warm water before applying your serum and moisturiser. Nice and easy! Purified Water, Vegetable Glycerin, Peg-120 Methyl Glucose Dioleate, Cocoamidopropyl Betaine, Caprylyl/Capryl Glucoside, Sodium Lauroamphoacetate, Sodium Chloride, Phenoxyethanol, Citric Acid, Lavender Australian Oil, Ethylhexylglycerin, Jojoba Australian Oil, Avocado Oil, Sandalwood Australian Oil, Mandarin Oil, Agonis Fragrans Branch/Leaf Oil, Natural Vitamin E, Cajeput Oil, Lilly Pilly Fruit Extract, Kakadu Plum Extract, Quandong Fruit Extract. No sulphates, no parabens, cruelty-free. Amazing Oils for an Amazing You. Love the product and its great for use in the shower. Perhaps a bigger bottle would be more economical and a matching toner to complete the skin care range. Hi, it's always a good thing when people who use our products make suggestions, a few of our packages and products have been developed in response to suggestions like yours. Everyone at every level of the company sees these reviews so you never know, this might come up at the next meeting. Thank you so much. Best cleanser I've used. Smells great feels great and love using it in the shower. We love photo responses so much. Thanks for that and such a great review too. Hi Alexis and thanks for such a positive review. My mother recommended I try this to my sisters and I, and to be honest I was sceptical - but my skin has never felt to clean or soft! I can see a difference after only a week. Very happy indeed. Thank you so much Jennifer for sharing your experience and your kind words. 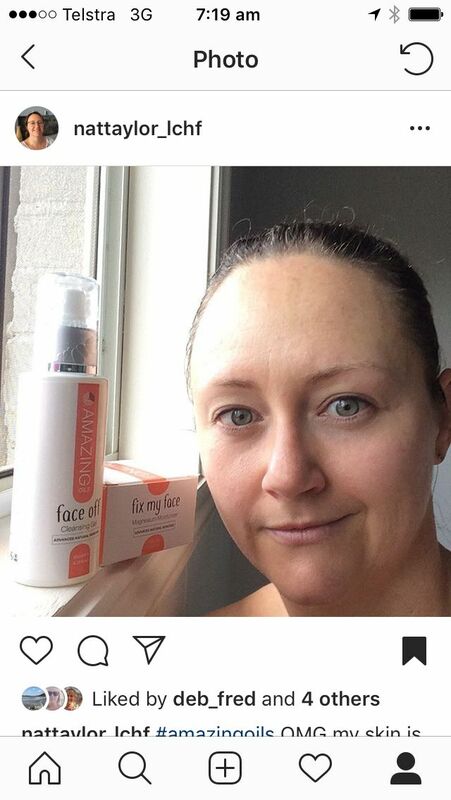 From the first time I used face off, my skin now glows & is soft. Hi Natalie, your skin is looking great! Thank you for leaving us a review.